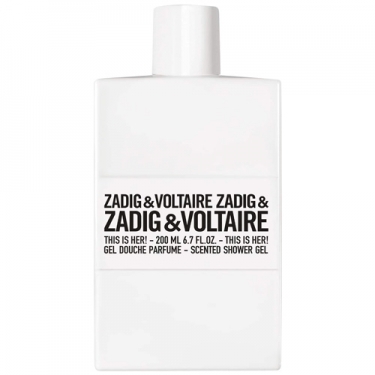 DESCRIPTION: This is Her Shower Gel from Zadig & Voltaire is a shower gel designed to perfectly complement the scent. This shower gel wraps the body in luxuriously scented bubbles. After use, the skin becomes fresh, smooth and sublimely perfumed.